SHE has witnessed some of the world's most traumatic sights, from mass graves in Kosovo to the tsunami devastation in Thailand. 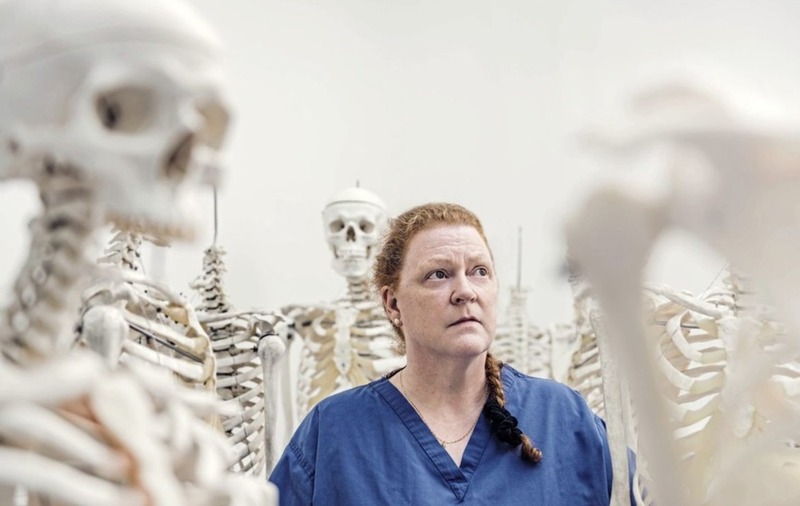 Dame Professor Sue Black, one of the world's leading forensic anthropologists, has also picked through writhing maggots, decomposed bodies and mutilated corpses in her quest to identify the dead. But why does she do it? "I never planned it," says Inverness-born Black (56). "It's fate, being in the right place at the right time and the opportunity was there. At no point did I think, 'I want to be a forensic scientist or a professor'." Her job centres on helping identify bodies through bone analysis, unlike pathologists, who determine the cause and manner of death. Some of Black's work involves cold cases, when all other avenues have been exhausted. While she often finds herself dealing with the most macabre cases of murder, in the flesh she is upbeat, with a dry sense of humour, clearly identifiable in her memoir, All That Remains. "There is a dark sense of humour among forensic teams," she agrees, "but it's part of the coping mechanism. Laughing is what gets you through 17-hour days when you are exhausted and what you are doing is not a normal job for most people. "The humour is almost always directed at your team members, never at the deceased or the family of the deceased. That part of the job is sacrosanct." Black, who divides her time between case work, teaching and laboratory research at the University of Dundee, where she is director of the Centre for Anatomy & Human Identification, has never been squeamish. Growing up in the countryside on the outskirts of Inverness, her father would go out hunting, bringing home rabbits and pigeons which he'd shot. "It was my job to skin them and gut them and I never thought twice about it," she recalls. She does, however, have a pathological fear of rats, which may explain why she plumped for the study of bones rather than pathology, where there may have been a fair bit of rat dissection. Her fear harks back to the time her parents ran a hotel, when there was a dustmans' strike. "I can remember seeing my father beating a rat to death – I can see its red eyes and its tail lashing and I can hear it growling. I thought it was going to leap at me and from that point forward, I was scared." She's been to scenes where rats would certainly be present – decrepit buildings, mass graves, rubbish tips where bones have been found. She admits she sends in police or soldiers to get rid of the rodents before she will enter. At home, Black and her husband Tom, a former anatomist who now works in finance, have a cat. She acknowledges people have become more interested in the forensic side of investigation, thanks to the popularity of TV shows like Silent Witness and CSI. "I tend not to watch them. That would be like an A&E consultant watching Casualty," she says. "Some shows are better than others but they are there to entertain, not to educate. Having to wind a story around a subject makes it more appealing than often is the reality of the subject. "We do get students who come to university thinking it's one thing, and then finding it's another. But you do have to study statistics, have ethics and morals and understand the research process. There's an unrealistic portrayal in fictional TV because it's about entertainment." Fictional forensic work is one thing, but her life trying to identify the dead is quite another. Black attended horrific scenes in Kosovo, where whole communities had been massacred, requiring the exhumation of mass graves. On another assignment, she witnessed complete chaos in Thailand following the 2004 Boxing Day tsunami, as makeshift mortuaries were set up in searing temperatures, where relatives frantically tried to identify their loved ones in a sea of decomposing bodies. 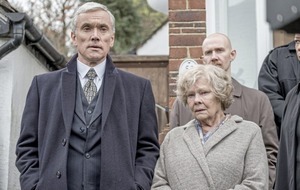 Surely those scenes are enough to push anyone over the edge, but Black says: "I tend not to get upset in the horrendous situations where you might expect members of the public to become upset. This is what we do and what we are trained to do. "I've never had a nightmare or woken up worrying about something, I've never had a good cry in the corner about anything. It doesn't affect me in that way at all." At the end of her last, and longest, tour of Kosovo in 2000, the police sent out a team of counsellors for Black and her colleagues, a move which was met with derision. 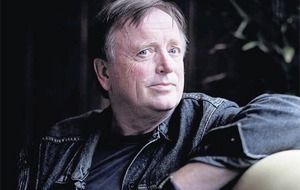 "There was some resentment at outsiders coming into an area which they didn't understand. They hadn't been to a scene or worked a 17-hour day. "When we came across a situation where anybody was being affected by it, we dealt with it between ourselves. You sat down and talked it out and often that's the best way, when you can do it with friends you can trust. "The job at work – you didn't cause it, you're not responsible for it, you don't have any guilt for it, you're there because you're required to do the job to the best of your ability," she reasons. A mother of three grown-up daughters, she says having a family and becoming a mother hasn't changed her attitude towards her work, or meant she has stronger emotional responses. "I don't think my children have made me look at the work that I do any differently, other than there are certain jobs I've been asked to do that I've turned down because I have responsibility as a mother – and they were in parts of the world which were particularly dangerous at the time. "But you do come home and hug your children tighter. You become a more appreciative parent." 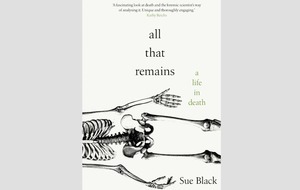 :: All That Remains: A Life In Death by Sue Black is published by Doubleday, priced £16.99.